In my first stab at inking the Sally Forth daily for October 24th I did the cornstalks in the second panel in silhouette. The silhouette wasn’t necessarily bad, but it did give it a more ominous tone than I was looking for. 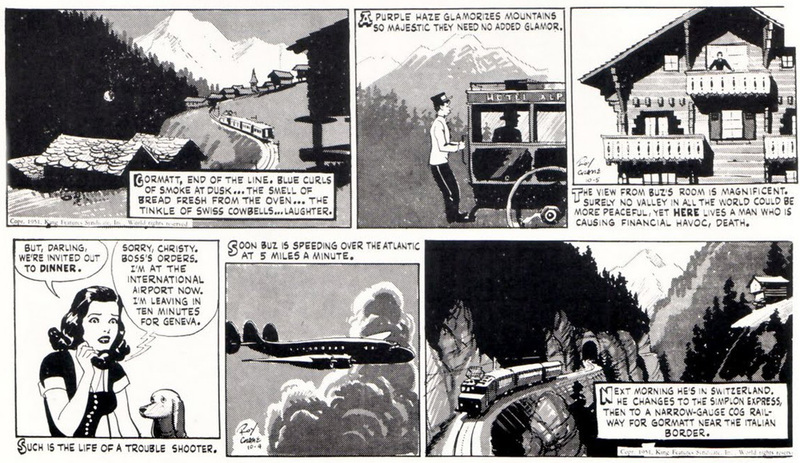 Then I remembered how Roy Crane used to use a gray tone to add depth and atmosphere. A little tweeking in Photoshop and voila. An added bonus of the gray is that it made a clearer distinction between the second and third panels. If you click on the strip to see it larger you’ll see the gray tone is made out of vertical lines. This is so it’ll print clear in the newspaper. And last but not least here’s the color version from Daily Ink. 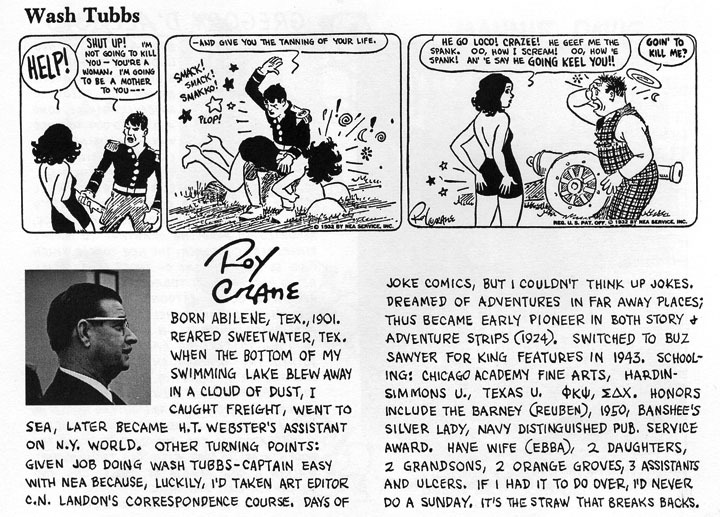 For those unfamiliar with Roy Crane’s comic work, he was literally the pioneer of the adventure strip when the artform was just getting started. Here’s his bio from the National Cartoonist Society. I especially like that last comment about Sundays. It was the same reason Alex Raymond gave for not doing a Rip Kirby Sunday page – it’ll kill you. For more on Roy Crane check his iconic work on Captain Easy and Buz Sawyer. This entry was posted in Francesco Marciuliano, Roy Crane, Sally Forth and tagged Francesco Marciuliano, Roy Crane, Sally Forth. Bookmark the permalink.